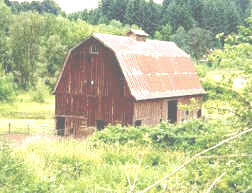 bide a wee farm is located just outside of Newberg, Oregon in the Chehalem Valley, about 25 miles Southwest of Portland, Oregon. We raise Jacob and Navajo-Churro sheep - both listed as 'threatened' breeds on the Livestock Conservancy's Conservation Priority List. We've been raising both breeds since 1994 and are just as enthusiastic about them now as we were when we first started. Both Jacob and Navajo-Churro sheep are terrific small farm breeds - they're hardy, disease resistant, prolific and multipurpose; supplying breeding stock, hand spinners fleeces, lean, mild tasting lamb, and sheepskins. Included are brief histories of Jacob and Navajo-Churro sheep, along with sale lists, photos and pedigrees of the adult bide a wee Jacob and bide a wee Navajo-Churro sheep we currently have for sale. Our 2019 lambs will be arriving soon - to get an idea of what to expect from our 2019 lambs, click here to see our 2018 Jacob lambs and click here to see our 2018 Navajo-Churro lambs. For information on our breeding program, including photos of our flock sires, visit our 2019 breeding line up. Both Jacob and Navajo-Churro* sheep produce lean, mild flavored meat. We sell USDA inspected lamb cuts under our USDA prepared meat sellers license #AG-L1007963PPM. Our lambs are processed at Mt. Angel Meat Company, an animal welfare approved, USDA inspected facility located in nearby Mt. 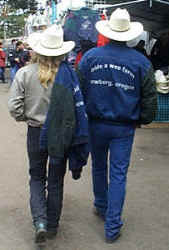 Angel, Oregon, where the meat is aged for 7 to 10 days before being cut. *Navajo-Churro sheep were the first breed of sheep to be included in the Slow Food USA Ark of Taste program. McMinnville Farmers Market on Thursday - Every Thursday from noon to 6pm - May through mid October, on Cowls Street, between 1st and 2nd. 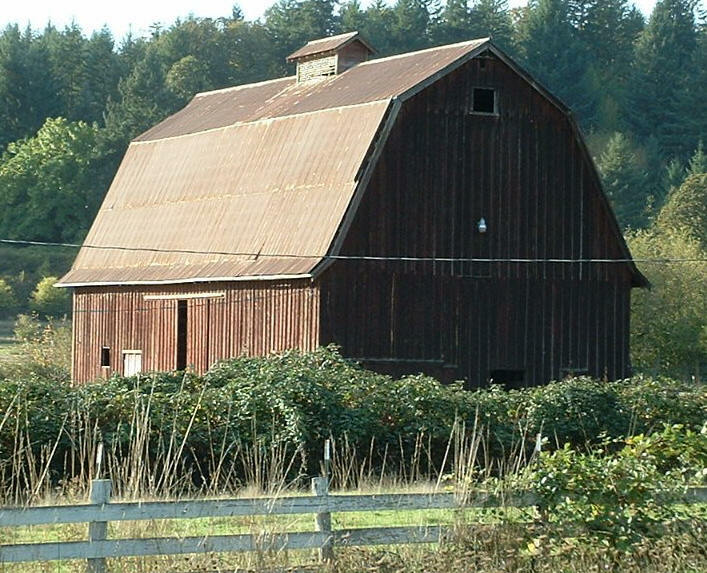 McMinnville Grange Farmers Market - Every Saturday, year 'round from 10am to 2pm - 1700 Old Sheridan Road, McMinnville, OR.. If you can't visit in person please visit our on-line bide a wee farm Store which offers award winning fleeces, colorful sheepskins, and yarn for sale. For tips and recipes visit our newsletter. producing top quality breeding stock, fleece & fiber products. All of our breeding stock is registered and we work to keep diverse bloodlines. All lambs sold as breeding stock come with a registration guarantee**.